Daisy Narayanan (Project Director) will be presenting detailed proposals for the City Centre Transformation, City Mobility Plans and Low Emission Zones. These are scheduled for approval by the City of Edinburgh Council in May, followed by a period of Public Consultation. Following initial public consultation, she now has strong public support for “transformational change” and we look forward to hearing from her and discussing concrete details of what is planned. 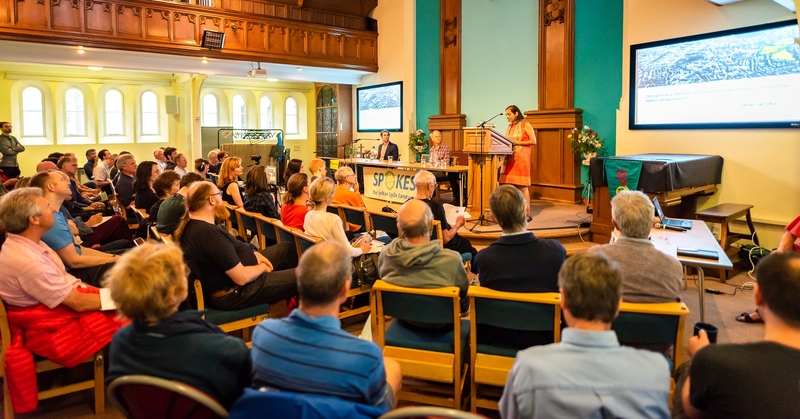 There will also be complementary speakers, focusing on Edinburgh in depth, with some challenge from progressive thinkers on how Edinburgh will become a “City fit for cycling”. There will be the usual one hour opportunity for the audience to ask questions. Teas and Coffees from 18:45, Meeting starts at 19:30.